With Climax Control lubricant on the inside and silky smooth lubricant on the outside for longer lasting sexual pleasure. 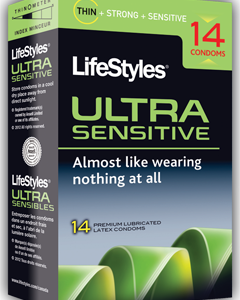 Latex condoms,when used properly are highly effective against pregnancy,although no contraceptive can guarantee 100% effectiveness. Instructions for condom use are located inside the box. Check the expiry date of the condoms on the outside edge of the box. Here are some guidelines for using condoms in general.